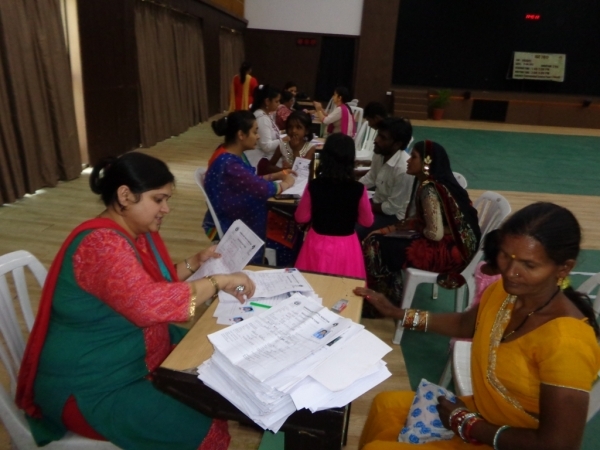 With the belief that’ Education is the only key to empower girls’, The Sanskaar Vidhya Niketan, an initiative of the Sanskaar Valley School, held its 3rd admission process on the 22nd of April. Started in 2015 with just about 100 girls and classes KG 1 to Grade III, the school has moved from strength to strength with 207 girls in the second year and now 100 more will be taken in classes KGI to V .
Volunteers of TSVS –teachers as well as students have been working to spread awareness about the importance of educating girls and empowering them to become self dependent and capable of standing on their feet. 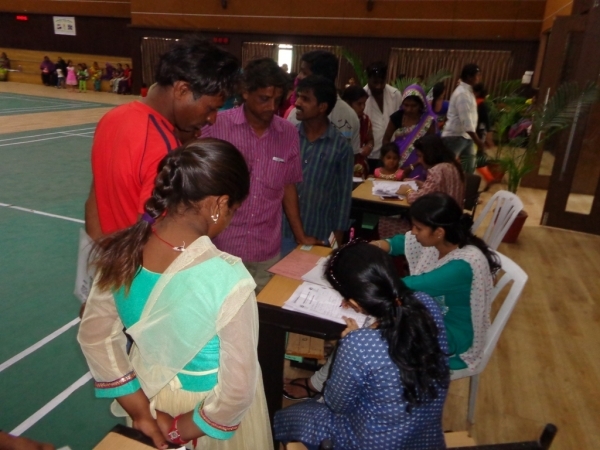 They went around the villages in the area to distribute the admission forms and motivated the parents to send their daughters to school. 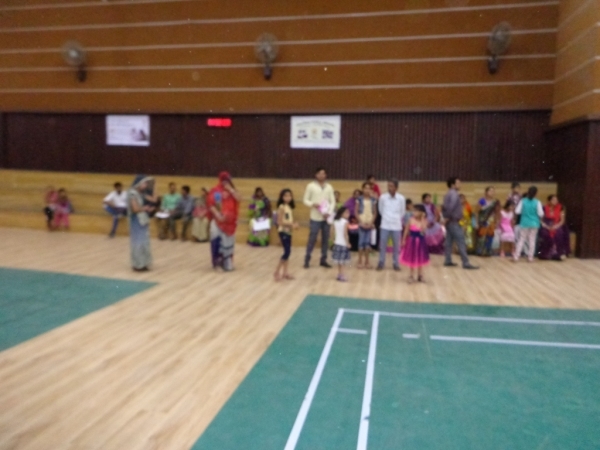 Parents turned up in huge numbers and one could see a whole plethora of emotions on display- awe on being in such a big school, fear of not getting selected, pride on seeing their daughters interacting confidently and of course hope that the admission would be granted! Volunteers from the school worked to make the whole process a smooth one. 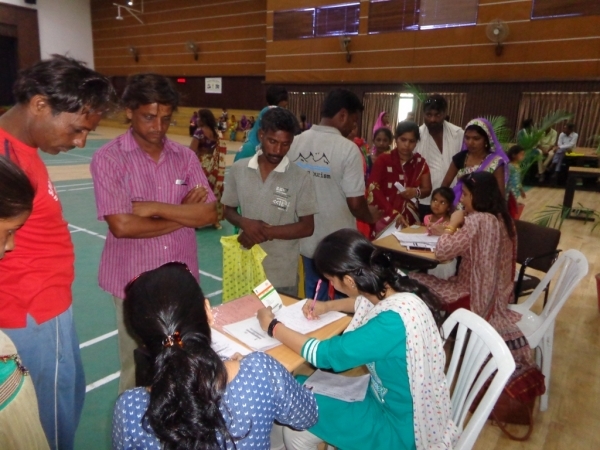 With helping in the filling of registration forms, to interviewing the parents, to conducting basic admission tests to decide the class the child needs to go in, to managing the crowds, the teachers were as enthusiastic as the parents and were proud to be a part of this initiative.